Established in 1967 and celebrating over 50 years of service, the Central Nebraska Humane Society is still located at the original site donated by Herbert and Barbara Glover. CNHS is the largest nonprofit 501(c) (3) animal welfare organization in a lead role in central Nebraska. CNHS is governed by a Board of Directors whose members establish the policies, operation guidelines, strategic planning and fundraising for the organization. All donations and financial support goes directly to impacting the lives of animals in a positive way. Much of the funding CNHS needs to care for animals comes from the generous support of local donations. Funding from the relationship with local city government only covers the work of Animal Control. Currently, the CNHS staff is developing new programs including comprehensive animal foster care and dog training programs as well as revamping its volunteer program. Development of these new programs would not occur without the generous financial support of area donors. To date, CNHS has adopted to over 70 counties in Nebraska and over 30 states. As a nonprofit organization, we depend on donations to run the shelter and care for the animals that need homes. Small or large we appreciate your donation. Not ready to give today? There are several ways you can support your local shelter. The purpose of the Central Nebraska Humane Society is to promote the adoption of rescued, abandoned, abused or neglected animals into safe, lifelong homes. Central Nebraska Humane Society shared a post. They both look very happy. Enjoy your new life Tanner! The dogs say THANK YOU. What a huge improvement for them while they wait for their furever homes. They can get some fresh air and stretch their legs while kennels get cleaned. Wonderful to see project Finished. Congratulations Central Nebraska Humane Society staff, all that helped and of course to the furr baby residents! Great project. The dogs are going to love it! 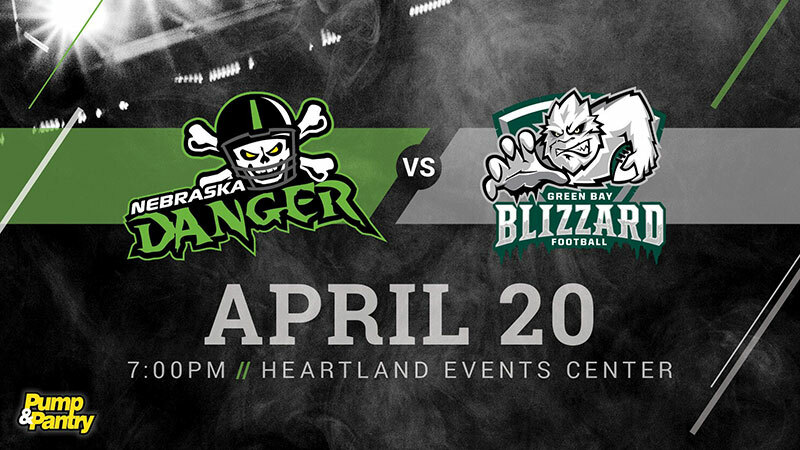 Please join us at this weekends Danger game on April 20th. Doors open at 6 pm and the game will start at 7 pm. $5 from each ticket purchase will be donated to CNHS. We will have a booth set up on the concourse as well. Please make sure to stop by. Hope to see you there! Get the quarterly newsletter, training tips, events, rescue stories, and more. © 2019 Central Nebraska Humane Society. All rights reserved. Site designed by Kevin Brown Design.